The exhibition is based on the special studies research of Jaclyn Majewski (Smith Class of '13) and is open through September 8, 2013. 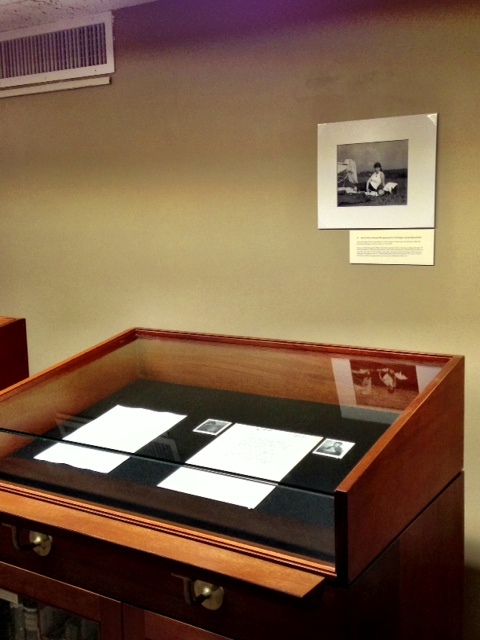 The show includes Plath's annotated copy of The Poetical Works of Chaucer, journals, drawings, photographs, and early drafts of Plath's poems "Magi" and "Lady Lazarus," which was written on the back of a draft of The Bell Jar. 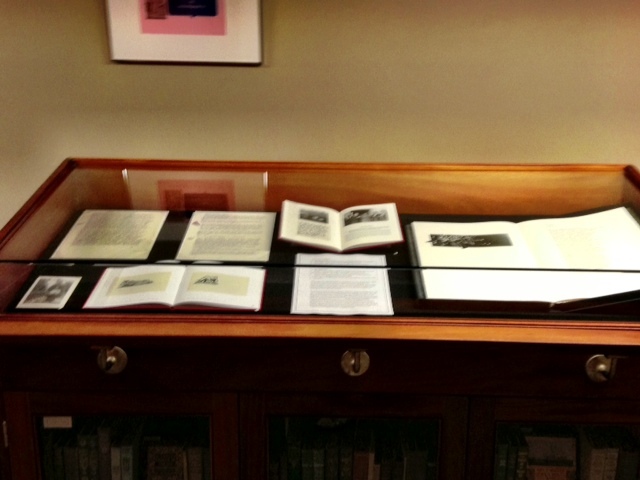 Below are some images of the exhibit taken by Plath scholar Amanda Golden, author of the forthcoming monograph Annotating Modernism: Marginalia and Pedagogy from Virginia Woolf to the Confessional Poets (Ashgate, 2014). Thank you, Amanda! Like Sylvia Plath's "Mushrooms," HarperCollins "discretely, / very quietly" published their own 50th anniversary edition of The Bell Jar in June (the 11th, to be exact). Even though it is the 42nd year The Bell Jar has been available in this country AND they used the same text as their 25th anniversary edition, first published in 1996. But, who (other than me and maybe Elena Rebollo Cortés) is paying attention, really? You can buy this edition via Amazon and possibly, if there is such a thing anymore, at a real bookstore. Following the interesting guest post by Ms Cortés and taking into consideration the stink that arose out of Faber's cover of their 50th anniversary edition in January...how do you take this one by HarperCollins? It is certainly far more conservative... Regarding the stink from earlier this year, here is a sample article and here is Faber's response. This 50th anniversary Harper edition cover does not call attention to itself. In fact, the front and back cover are both devoid of critical praise either by reviewers or prominent people: we are given the essential information: title, author, genre and special edition notice on the front and a quote from Chapter 1 on the back. If you are interested in the covers of The Bell Jar, why not jump over to my website and click through them? All links accessed on 18 July 2013. Guest Post: Sylvia Plath's "The Bell Jar: 50 years in covers"
The following is a guest blog post by Elena Rebollo Cortés and is written in both Spanish and English! The nature of the post concerns an exhibit on Sylvia Plath's The Bell Jar that she curated at her university in Cáceres, Spain. I met Elena at the Sylvia Plath Symposium held in October 2012 but unfortuately missed her presentation on "British Thresholds of Interpretation: Faber and Faber's Ariel Editions." The post below is concerned however not so much with Ariel, but with editions of The Bell Jar. Her work is fascinating and important I am very grateful for this bi-lingual guest post! Después de años sumergiéndome en las ediciones de las obras de Sylvia Plath para elaborar mi tesis doctoral, las reacciones surgidas alrededor de la última edición de Faber & Faber de The Bell Jar no hacían más que corroborar el punto de partida de mi investigación: que las formas tienen sentido, y los aspectos materiales junto con los paratextos que se encuentran en los libros de Plath importan, y mucho, si queremos entender cómo se ha construido su imagen desde 1960 hasta la actualidad. Los libros, como objetos históricos, han desempeñado un importante papel en su la construcción de su imagen, de su mito y en el proceso de su canonización. En una fecha tan señalada como el 50 aniversario de la muerte de Plath, pero también de la publicación de The Bell Jar en Inglaterra, encontré el apoyo de todos mis compañeros cuando propuse organizar una exhibición de las portadas con las que se había comercializado la novela a ambos lados del Atlántico. Con el título The Bell Jar: 50 years in covers, queríamos que la exposición contribuyera a que nuestros alumnos descubrieran y leyeran a Sylvia Plath, pero también mostrarles el poder de las portadas para atrapar la mirada del lector y evocar una imagen determinada de la obra o de la autora. Una imagen que no es estática, sino dinámica y que, como la de un caleidoscopio, se transformaba con cada reedición de la obra. Como parte de la actividad, me ofrecí a dar dos visitas guiadas para los estudiantes: una de ellas en español y otra en inglés. Atentos a mis explicaciones, nuestros alumnos contemplaban las distintas portadas como si fueran cuadros en una exhibición de un museo. Sus miradas pasaban de una edición a otra, en una sucesión de portadas, retazos de una historia, de ecos, de contactos entre dos mercados y sistemas literarios separados por un océano pero unidos por una misma lengua. La exposición aún decora el pasillo de mi centro, la Escuela Oficial de Idiomas de Plasencia, donde sigue invitando a los estudiantes a detenerse un momento, antes de llegar a su clase, para escuchar su historia y leer The Bell Jar o La Campana de Cristal, como se ha traducido el título de la novela de Plath al español. Gracias a mi directora de tesis, Dª Victoria Pineda González, fue posible también exhibir este trabajo en la Facultad de Filosofía y Letras de la Universidad de Extremadura. Frente a las imágenes de las portadas se congregaron ahora no sólo estudiantes, también profesores de distintos departamentos. Fue una de las experiencias más satisfactorias de mi vida. Pero siento que la conversación aún no ha terminado: llega ahora a este espacio, a esta entrada de blog gracias a la generosidad y apoyo de Peter K. Steinberg. After years looking into the different editions of Sylvia Plath's work in order to complete my PhD work and dissertation, I found my main thesis confirmed by the reactions provoked by the latest edition of The Bell Jar by Faber & Faber. In my research, I argue that forms make sense, that the material characteristics of books along with the paratexts found in editions of Plath's poetry and prose are very relevant if we are to fully understand how her image has been constructed from 1960 until now. As historical objects, books have played a major role in establishing her image, her myth and in the process of her canonization. To commemorate the 50th anniversary of her death, but also of the publication of The Bell Jar in England, I proposed a special activity in my school. The idea was to organize an exhibition titled The Bell Jar: 50 Years in Covers encompassing all the covers that have been used to market Plath's novel on both sides of the Atlantic. My colleagues embraced the idea and offered invaluable support and hands-on assistance, all of us driven by the same idea: that the exhibition would help our students to discover Sylvia Plath and her works. 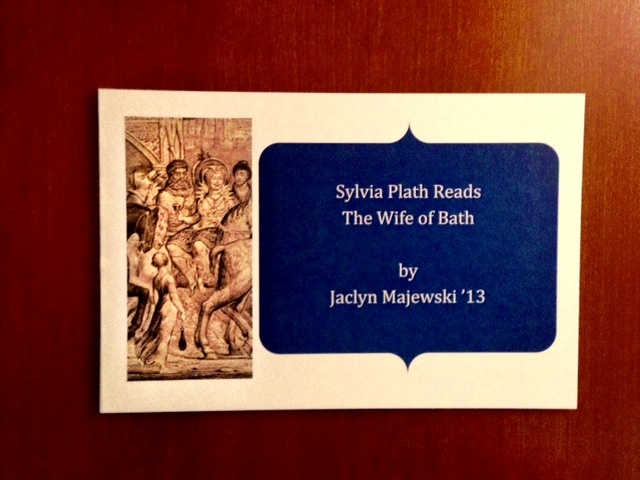 In addition to this, we wanted them to experience not only the power of book covers to catch the reader's eye and make them pay attention to the novel, but also how they conjure up a certain image of The Bell Jar and of Sylvia Plath. Such an image, I tried to point out at them, is not static but dynamic, and –like those created in a kaleidoscope—changes with every new edition of the novel. To introduce students to the exhibition, I volunteered to give guided tours in two different languages: English and Spanish. They listened to my words attentively as they contemplated the covers like paintings in a museum, looking at each cover. I told them "These covers are pieces of a story, they interrelate and echo each other". And they tried to put together the scattered pieces of this story, the series of covers being part of a bigger narrative which has been taking place for decades in two literary markets, two literary systems separated by the Atlantic Ocean but connected by the same language. This exhibition can still be seen in the main corridor of my school, the School of Languages of Plasencia. From there, it invites students to stop for a moment in their way to class, to listen to the story, to read The Bell Jar or La Campana de Cristal, as Plath's novel title was translated into Spanish. Thanks to my thesis adviser, Dr. Victoria Pineda Gonzalez, I had the opportunity to show the exhibition in the entrance of my University, in the Facultad de Filosofia y Letras de Caceres. This time, students and professors from different academic departments gathered, around the exhibition in what has been one of the most rewarding experiences of my life. Nevertheless, I know that the conversation around Plath's editions still continues. Now, thanks to Peter K. Steinberg's generosity and support, it reaches a new space: this blog entry. Today, Sotheby's auction house in London had, in Lot 31, the copy of Joseph Conrad's Lord Jim formerly owned by Sylvia Plath. The copy has Plath's bookplate, her underlinings, and her marginal annotations. There is also a note added by Ted Hughes. Estimates for the lot was that it would sell for £6,000-8,000. 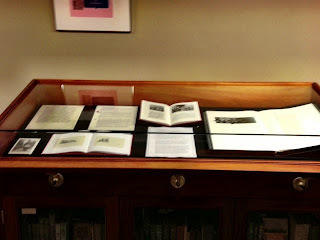 Plath's library is largely divided between her archives at Smith College (Mortimer Rare Book Room); Indiana University (Lilly Library); and Emory University (Robert W. Woodruff Library). In addition to those held by libraries and special collections, some copies of books formerly belonging to Plath are also held privately. Lot 31 of this auction just concluded. The book sold for a WHOPPING £12,500 /$19,357 / €14,760. Well, well above the high estimate. Go Plath! Earlier today, in another Sotheby's auction, a copy of the limited edition Uncollected Poems (Turret Books, 1965) sold as part of a big lot of books of "Twentieth-Century First and Limited Editions" (see Lot 308) in London. All links accessed 10 July 2013. 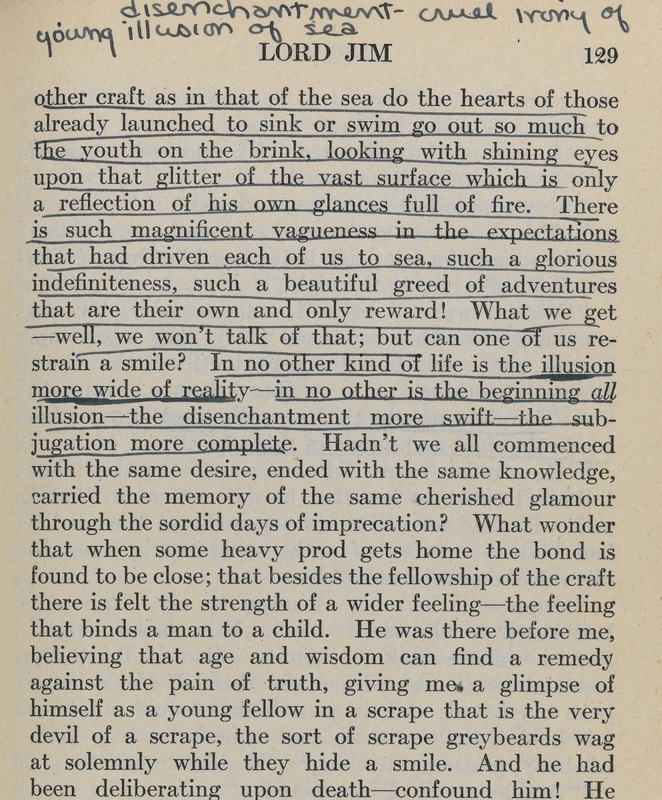 On 10 July at Sotheby's, the Joseph Conrad collection Collection from the Library of the late Stanley J. Seeger - Part I goes for sale in London. 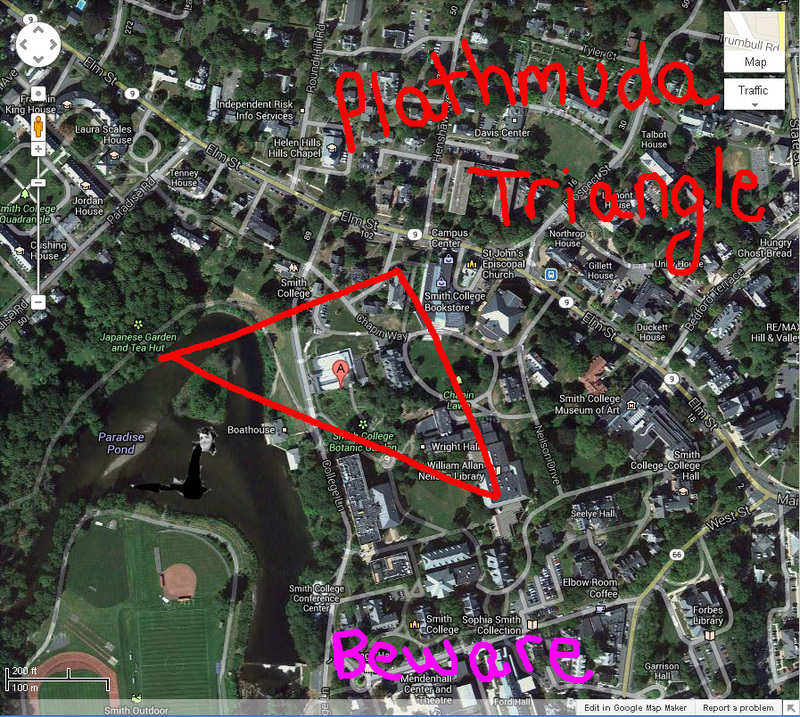 Of the 193 lots, one in particular strikes the fancy of this Sylvia Plath-o-phile... Lot number 31. 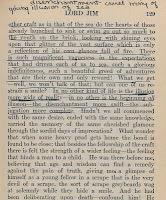 The description of Sylvia Plath's copy of Lord Jim reads: "8vo. Sylvia Plath's copy, bearing her signed bookplate and extensively underlined with numerous annotations by her, additionally annotated by Ted Hughes ("I read this novel, this copy, aloud | to Sylvia, in the evenings, while | she was making her rag rug - 1962. | Ted Hughes" on rear free endpaper, original red brown cloth lettered in gilt on spine and upper cover, dust-jacket, extremities bumped and sunned, occasional scribbles in green felt-tip, significant loss to dust-jacket"
News of this copy coming up for sale was featured in "Sylvia Plath's copy of Lord Jim on sale as part of huge Joseph Conrad auction" in The Guardian on 13 May 2013. Plath items at auction have recently also been featured on this blog, including a rare uncorrected proof copy of a Victoria Lucas Bell Jar (post 1, post 2) and a typed letter signed by Plath that sold in 2012. You can also search all posts on this blog labeled "Auction". 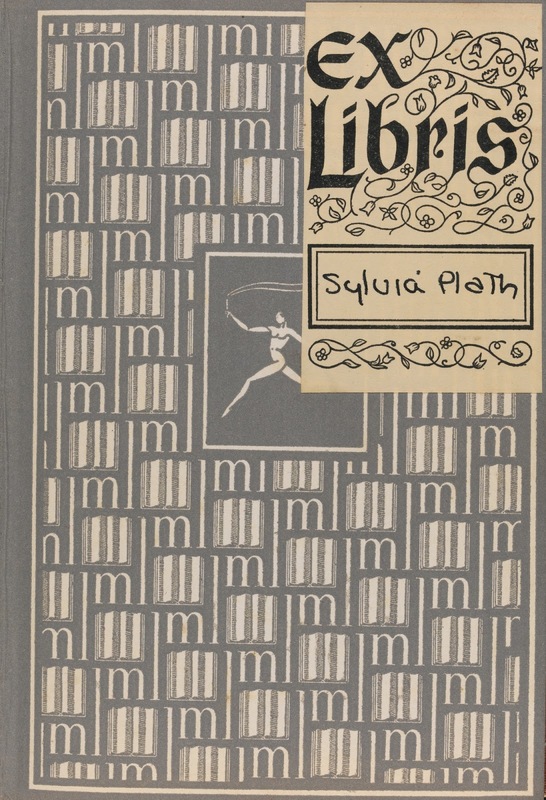 If you are interested in books formerly belonging to Sylvia Plath, considering checking out Sylvia Plath Library on (the recently redesigned) Librarything! Plath's library is not complete (we will never realistically know all the books she read) but it should give you a good idea of what she owned, what she read for school, etc. All links accessed 1 July 2013. 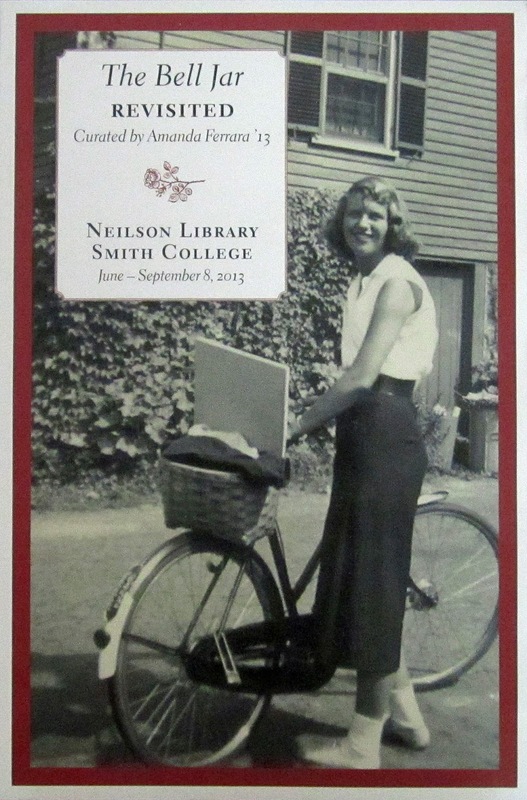 Currently there are a couple of exhibits on at Smith College. One is entitled "From Petals to Paper: Poetic Inspiration from Flowers." The exhibit opened on Friday, 1 March and runs until Monday, 3 September 3. The exhibit hours are 8:30 am to 4:00 pm daily and you can see it in the Church Exhibition Gallery, Lyman Plant House, Smith College. 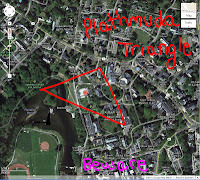 This building is located within the dangerous Plathmuda Triangle of Haven House, the Neilson Library (which houses the estimable Sylvia Plath Collection) and Paradise Pond (home of the Hugheness Monster). "From Petals to Paper" features Plath's poem "Tulips" in which visitors can listen to the recently released rare recording of Plath reading "Tulips" from July 1961. Another Plath poem on a flower is also on display! "Among the Narcissi." The entire creative process is here: manuscript, typescript with editorial instructions, and the printed version. Additional poets of particular and notable interest are David Trinidad's lovely poem "Red Parade" and a couple poems by Louise Glück, among others. Be sure to see more in the brochure. 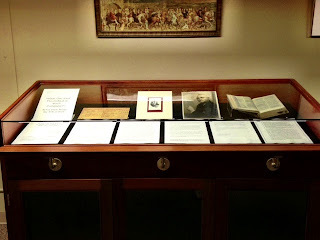 Below are some images of the exhibit space. 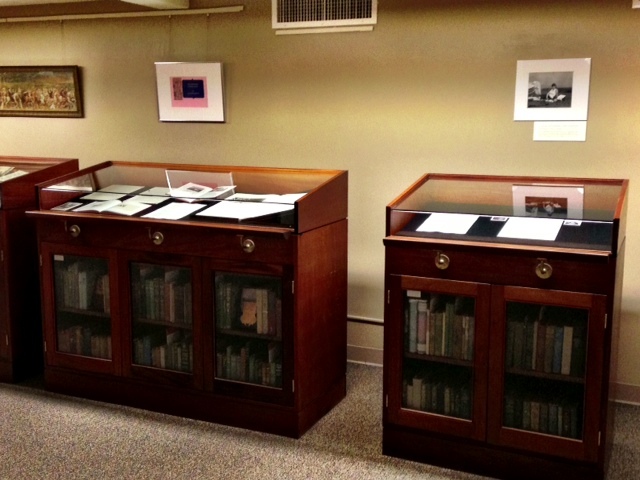 A second exhibit on, also through September, comes courtesy of Amanda Ferrera, who assisted with "The Bell Jar at 50" exhibit that was on this winter at Roger Williams University in Bristol, Rhode Island. "Taking the Archives Public Exhibitions" consists of digital and physical archival exhibits created by students in the Archives Concentration. They are now on view in the Alumnae Gym. Amanda's exhibit "The Bell Jar Revisited," is only partially in the Alumnae Gym. The larger exhibit is on the 3rd floor of the Neilson Library and includes books & periodicals, manuscripts, drafts, photographs, letters, and so much more. Well worth the trip to see if you have an interest either in Sylvia Plath or The Bell Jar and live anywhere on Earth.